This episode of Spoil Me! 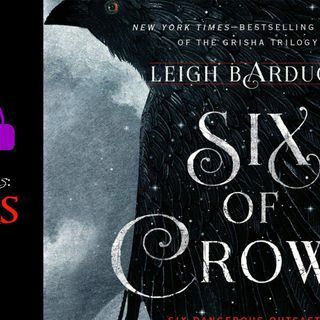 covering Six Of Crows by Leigh Bardugo is brought to you by Jill, and I'm very hopeful that I will get to continue reading it soon because this was a helluvan opening few chapters. We are introduced to a world not entirely unlike our own, but about a century behind when it comes to technology (as far as I've seen) and with a whole race of people with magical powers who are traded and sold into indentured servitude. Problem is, they've just been ... See More handed the key to their own escape, and while freedom is a tempting proposition, it comes with a price. Thanks for listening, and thanks to Jill for the commission!